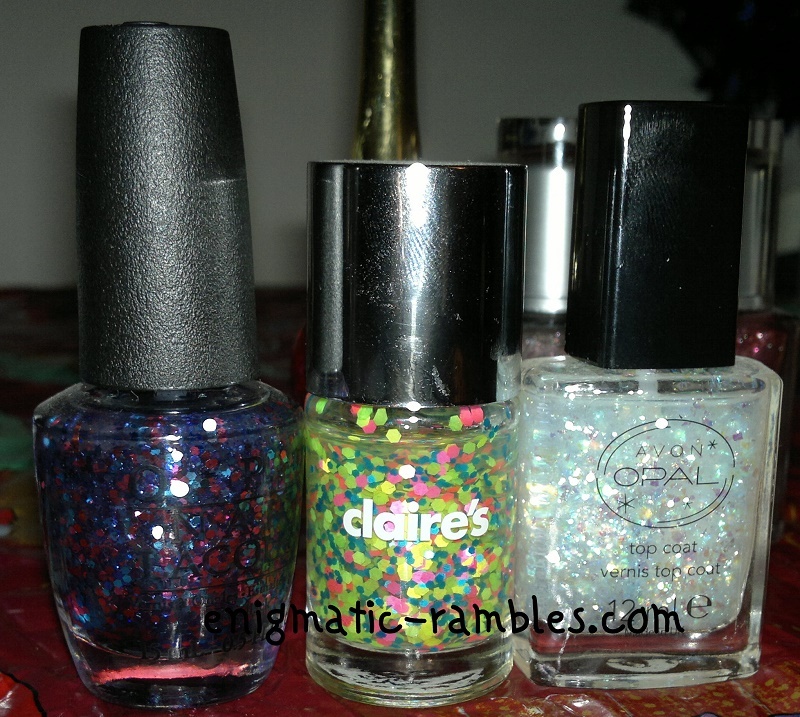 Enigmatic Rambles: Nail Polish Battle 2014: Glitters! This is the final battle, before moving on to my top three. I seem to have acquired a fair few glitters this past year. First I whittled these down to three, I like the purple tones to Polka.com and the Avon polish is quite unique. It isn't quite a flakie polish but it is along those lines. The winner of the three is Claire's Dizzy, because this is quite a unique polish. 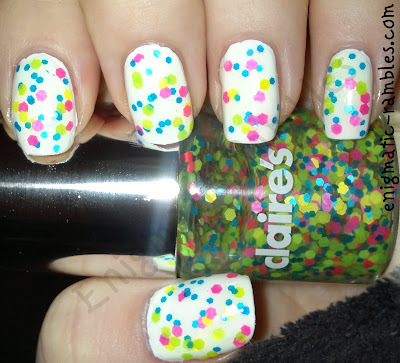 Multi neon glitters are quite common in the land of indie polish but this is a main stream polish at a bargain price. This is very summer appropriate over white but I think it would work really well over black as well.